Asia Bibi’s lawyer has appealed to the German government to grant her and her family citizenship. In a news conference in Frankfurt Saiful Mulook said that while Bibi was now free, she and her family needed a passport to leave the country. The 53-year-old Pakistani Christian was convicted of blasphemy in 2010 and sentenced to death. But last month the Supreme Court acquitted her. However, since the judgement Islamist hardliners in Pakistan have been protesting and demanding that Bibi be prevented from leaving the country. The pressure from activists has made it extremely difficult to leave the country safely. 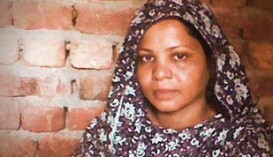 Bibi and her family are staying at a safe house in Pakistan, despite offers of asylum from countries including Canada. Mulook has himself sought refuge in the Netherlands after being threatened for taking on Bibi’s case.